FFA - We need to be clear; we have won the battle for now to stop invitations for CAIR officials to address students in Tampa schools. Florida Family Association sent out an email alert on Tuesday, April 3, 2012 which encouraged supporters to send emails to companies that advertised with The Tampa Tribune because of the paper’s continued bias for CAIR and its impact on the school board in Tampa. The April 3, 2012 email alert reported on the Hillsborough County School Board’s failure, as we predicted, to adopt policy to prohibit political advocacy groups like the Council on American Islamic Relations (CAIR) from addressing students. Some supporters thought we lost the battle because a policy was not adopted. We have won the battle for now. Florida Family Association wants to make sure that it is clear to our supporters that we have effectively won the challenge to stop CAIR from addressing students for now. Florida Family Association reported numerous reasons for declaring victory in previous email alerts which are all posted below. Additionally, Florida Family Association has engaged in the following planned efforts. Steinbrenner teachers respond to our reward offer. Florida Family Association received calls from two teachers who are interested in the $1,000 reward that Florida Family Association offered for information regarding future CAIR speaking engagements and $2,000 reward if the information is received more than a week before the engagement date. Florida Family Association is placing more pressure on Steinbrenner High School. IF (and that is a big IF) CAIR is invited back we will organize a protest in front of the school as well as hand out information to parents during several days before and after the speaking engagement. Additionally, we have inquired with officials at Steinbrenner High School about renting their auditorium to hold a public event which would present the truth about Islamist radical plans for America which include adoption of Sharia law. Steinbrenner may be the only school in Florida which invited CAIR. According to documents received from the Hillsborough County School Board Communications Officer Steinbrenner High School is the only school that invited CAIR officials to address students. 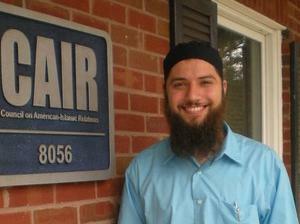 Public record requests to surrounding counties reported NO CAIR engagements in other counties. It appears that Steinbrenner High School is the only school in Florida that invited CAIR officials to address students. Additionally, it appears that Tampa has the only school district in the country which has taken no action regarding CAIR officials speaking to students in public schools. Thanks to your support we have won the battle to stop CAIR from addressing students. February 22, 2012 article update. See Original article from January 10, 2012 and Update articles from January 24 & 25 and February 15, 2012 below. Florida Family Association declares victory in effort to influence Tampa school district to stop inviting CAIR officials to address students. Florida Family Association contends that based upon the following facts that CAIR (Council on American Islamic Relations) officials will not be addressing students at Hillsborough County Schools in Tampa Florida anytime in the near future. The Hillsborough County School District Communications Officer Stephen Hegarty informed Florida Family Association in his email dated February 17, 2012 “I'm not aware of any plans for any CAIR officials to address our students.” Mr. Hegarty’s statement was in response to Florida Family Association’s question “Is it possible for you to give us a few days notice before CAIR officials address students in the future?” See Note 1 below. Hassan Shibly, Director of Tampa CAIR (Council on American Islamic Relations) wrote a letter on February 17, 2012 thanking the school board members for taking a stand for his presentations to students. However, Shibly never mentions that he looks forward to speaking to students in the future and makes no acknowledgement of gratitude to the teacher Kelly Miliziano who invited him. Each Hillsborough County School Board Member and the Superintendent of Schools received over 10,000 emails voicing opposition to CAIR officials addressing students. School Board Chairman Candy Olson proclaimed a fanatical and emotionally charged defense of the teacher, Kelly Miliziano, who invited CAIR officials to address her classes. This indicates that the national attention directed at the school board and teacher over this issue was unwelcome, unwanted and therefore most likely undesirable in the future. The School District will never vote for a policy statement to prohibit CAIR officials from indoctrinating students. The school district fears that such action would invite a costly law suit. Florida Family Association sued the school district in 2005 because they blocked supporters’ emails sent through the organization’s server. The school district refused throughout the suit to adopt an acceptable policy stating that they would not block emails from Florida Family Association’s supporters in the future. However, even though they refused to adopt such an obviously reasonable policy the school district has not blocked emails from Florida Family Association’s supporters in numerous campaigns since the lawsuit was dismissed. Based upon these facts there is sufficient grounds to declare a victory at this time. Florida Family Association decided to situate the victory flag in the ground rather than allow this issue to aimlessly meander between the school districts unwillingness to formalize risky policy at one end and no invitations on the calendar for CAIR officials to address students at the other end. That is the reality of this situation regardless of opposing comments to the contrary. Nevertheless, Florida Family Association will continue to file more public records requests asking for more information from the school district to determine if an invitation has been made prior to the engagement. If that occurs Florida Family Association plans to call for parents and neighbors from the area and patriots from around Tampa Bay to protest on that day in front of that school. Florida Family Association’s public records request which the school district complied with on December 14, 2011 (the beginning of Christmas break) produced the proof that CAIR officials made presentations to students at Steinbrenner High School in Tampa. Since that time Florida Family Association sent out three email alerts and posted an online article which reported that Hillsborough County School Board members were allowing CAIR (Council on American Islamic Relations) officials to indoctrinate school children with propaganda including their version of Sharia law. Each school board member and the district superintendent received approximately 10,000 emails opposing CAIR officials from addressing students. That number does not include emails these officials have received from individuals and other groups apart from Florida Family Association. Florida Family Association continues to this day to submit public records requests regarding this issue. Several organizations including local Tea Party leaders challenged the Hillsborough County School Board on February 14, 2012 to stop local CAIR officials from addressing students. The Tampa Bay Times reported in part “The issue arose late last year when conservative activist David Caton called attention to a visit to Steinbrenner High by Hassan Shibly, executive director of the Tampa-based Islamic group.” Click here to read report in The Tampa Bay Times. Note 1: Email reply to Public Records Request. Mr. Hegarty replied with his answers in blue next to Mr. Caton's question or comment. Thank you for the information. You're welcome. Is it possible for you to give us a few days notice before CAIR officials address students in the future? I'm not aware of any plans for any CAIR officials to address our students. Also, were or are parents notified about CAIR addressing their children? There was no specific notice to parents regarding CAIR or other speakers. February 15, 2012 article update. See Original article from January 10, 2012 and Update articles from January 24 & 25, 2012 below. School board blindly ignores 10,000 emails to each official, votes to allow CAIR to indoctrinate students. Allowing CAIR officials, known for defending people whose actions were hostile to America, to teach unedited propaganda to students is borderline treason. Florida Family Association sent out two email alerts and posted an online article which reported that Hillsborough County School Board members were allowing CAIR (Council on American Islamic Relations) officials to indoctrinate school children with propaganda including their version of Sharia law. Florida Family Association’s Take Action Message Report indicates that EACH school board official has received approximately 10,000 emails urging them to stop allowing CAIR officials from addressing students. That number does not include emails these officials have received from individuals and other groups apart from Florida Family Association. Several organizations including local Tea Party leaders challenged the Hillsborough County School Board on February 14, 2012 to stop local CAIR officials from addressing students. School board member Dr. Stacy White offered a motion to have CAIR and a committee “discuss” this situation with no specified stated resolution. Susan Valdez seconded the motion. April Griffin tried to gut the inane motion by requiring that all groups be included in the discussions thereby extending the issue to a non-issue. School Board Chairman Candy Oslon, Poster Child for Ultra Progressive Politics, gave another one of her extremely biased bashings of reasonable thinking people. She proclaimed that “Most Muslims are moderate” to justify CAIR officials speaking to students and scolded rational thinking concerned Americans who criticized Steinbrenner High School teacher Kelly Miliziano for inviting CAIR officials to speak to 500+ students. Chairman Olson also lost her cool during the January 24, 2012 meeting when she took a low shot at conservative Americans concern regarding CAIR talking to school children by saying “I don't think we can protect our children from the fact that there are extremists in every religion." Click here for the Tampa Bay Times report. Olson was quoted on tape saying that if you don't like the actions of this school district then you can always move to another county. During the February 14, 2012 meeting school board members rejected Dr. Stacy White’s weak motion by a 2 – 5 vote. This rejection vote effectively approves CAIR officials addressing students without regard for the content of their presentations. Having a TEACHER provide ALL OF THE FACTS regarding Sharia law is called education. Allowing CAIR officials, known for defending people whose actions were hostile to America, to provide unedited propaganda to students is borderline treason. Folks we are watching Islamization of America in action. CAIR is telling students only what they want them to know about Islam and Sharia law with the full grace of elected school board officials. As in other countries and cities it starts small and ends badly. School board chairman Candy Olson takes a low shot at conservative Americans with her extremist label while justifying CAIR (Council on American Islamic Relations) talking to our school children. Candy Olson lost her cool during the meeting when she went into one of her progressive, liberal diatribes aimed at opponents to CAIR addressing students. Several groups addressed the Hillsborough County School Board on January 24, 2012 regarding CAIR officials being allowed to indoctrinate students with a limited version of Islam and Sharia. Hillsborough County School Board member and Chairman Candy Olson lost her cool during the meeting when she went into one of her progressive, liberal diatribes aimed at people who are concerned about CAIR officials making presentations to students. Candy Olson took a low shot at conservative Americans and our concern regarding CAIR talking to our school children when she said “I don't think we can protect our children from the fact that there are extremists in every religion." Click here for the Tampa Bay Times report. Candy Olson was chair of the school board in November 2005 when she instructed school district officials to block emails from Florida Family Association’s supporters regarding the school board’s plans to drop Good Friday and Yom Kippur at the same time that Ahmed Bedier Executive Director of Tampa CAIR was pressuring her to add Muslim holidays. Click here and click here for more on this story. Candy Olson was inaccurate when she told the Tampa Bay Times that she had not heard from David Caton regarding CAIR addressing students and also commented on Florida Family Association’s rift with her progressive policies over the years. Olson said to the Tampa Bay Times "I have not heard from David Caton," she said. "But I'm not sure he thinks much of me." Click here for this report. Florida Family Association’s concern about CAIR addressing public school students is with the partial story CAIR tells students about Sharia and their apologetics for convicted terrorists. If you would like to send a personalized email regarding this situation Candy Oslon’s email address is COlson@sdhc.us The school district phone number is 813-272-4000. January 24, 2012 article update. School board allows CAIR (Council on American Islamic Relations) to tell students about Islam and Sharia. CAIR proclaimed on January 18, 2012 that Sharia law is like the Catholic canon law and Jewish Halacha law when CAIR attacked Newt Gingrich over his comments regarding the hiring of Muslims in top government positions. Click here for Greta Wire and Click here for CNS news reports. Nothing could be further from the truth. Unlike Catholic and Jewish law, Sharia law authorizes polygamy, pedophilia and perpetuates violence towards women and death for dishonoring the faith. If CAIR is trying to pull the wool over the eyes of the voting public regarding components of Sharia law then what do you think CAIR is telling students in Tampa classrooms? It is propaganda, plain and simple, paid for by our tax dollars. Florida Family Association sent out an alert on January 10, 2012 which asked supporters to send emails to school board officials stating in part “CAIR Tampa Executive Directors’ past public representations regarding issues that many consider contrary to America’s national security should be grounds enough to stop this group from addressing students.” The original article and details are posted below. While our supporters sent emails to school officials regarding CAIR’s political positions Florida Family Association demanded equal time for all faiths which is the only available legal recourse in this situation. The school district responded with a highly questionable list of religious leaders who they claim have been invited or spoke to students AFTER the Florida Family Association public records request was made. The school district's email response from Stephen Hagerty is posted below. Florida Family Association responded with an email to all school board members and superintendent which clarified that our primary objection relates to CAIR’s political agenda which is contrary to the best interest of the American values that we cherish. Past and present CAIR Tampa Executive Directors have defended terrorists. In the current case, Hassan Shibly is acting as a political leader of the controversial Islamic movement called CAIR who has made public representations regarding issues that many consider contrary to America’s national security. The details on these representations are posted below. CAIR officials’ own statements and positions should be grounds enough to stop this group from addressing students. However that is not the case for this school district. 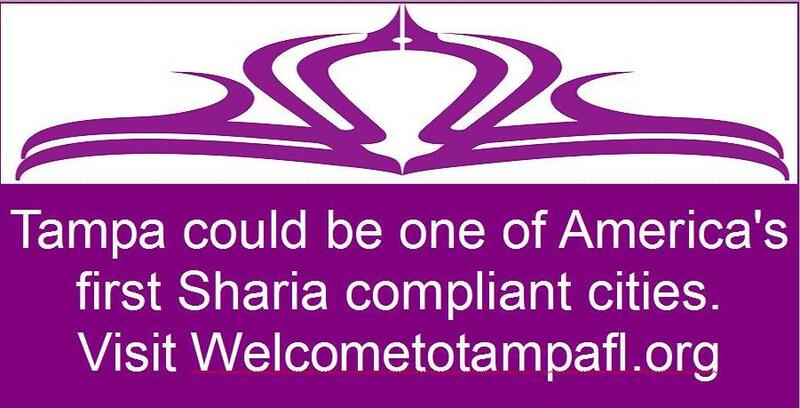 This school board which has a long history of patronizing CAIR is one of the reasons why Florida Family Association developed the website Welcometotampafl.org with the headline “Tampa could be one of America’s first Sharia compliant cities.” Welcometotampafl.org reports how some progressive officials in Tampa coddle and embrace Islamic leaders. January 10, 2012 original article and full details on this issue. Public school in Tampa allows CAIR officials to inform hundreds of students about Sharia, Islam and Human Rights. Florida Family Association heard in late November that a Hillsborough County School teacher in Tampa Florida had allegedly allowed a representative from CAIR (Council on American Islamic Relations) to teach more than 400 AP High School students about Islam and the Muslim faith. A public records request was issued to school district officials on December 4, 2011. The school district did not respond until December 15th at 6:00 pm. Florida Family Association waited until the week of January 9th when all school board officials would be back in office to report that Steinbrenner High School teacher Kelly Miliziano allowed a representative from CAIR (Council on American Islamic Relations) to inform students about Islam, Sharia law, etc. for the past three school years. Click here to see Kelly Miliziano’s emails to CAIR. Miliziano’s email makes it very clear on page 3 of the above referenced email document that “Confronting stereotypes and misconceptions” about Islam was very important to her with her allegation that the topic was a “favorite of students.” Other topics she wanted discussed with students included “Sharia”, “Human Rights and Islam” and “Women and Islam in different countries. Rest assured that the CAIR representative did not “educate” these students about the huge step backward that “women” and “human rights” took in Egypt when that country returned to Sharia rule. Click here to read more on Egypt at Jihadwatch.org. This picture, taken at a recent protest in Egypt, has been making the rounds on various Arabic websites. Note the rope around the women, herding them like camels; note the man to the right holding the leash, walking them. This is a common “precautionary measure” to keep women from mixing with men during protests. Page 4 of the email confirmed that CAIR Tampa Executive Director Hassan Shibly made presentations to Kelly Miliziano’s students on November 29, 2011 throughout the school day. What do we know about Hassan Shibly? He granted legitimacy to Hizballah following the 2006 Israel-Lebanon War by characterizing it as a "resistance movement" that provides valued social services to the Lebanese people. "They're absolutely not a terrorist organization," Shibly said, and "any war against them is illegitimate." In his Facebook page, Shibly defended a radical imam killed by the FBI after he opened fire on agents moving in to arrest him. In an October 2009 post, Shibly questioned the use of force against Imam Luqman Abdullah even though the criminal complaint against him made it clear Abdullah advocated violent jihad and urged followers never to surrender peacefully to authorities. Shibly's online profile also features American-born Islamic cleric Khalid Yasin as an "Interest." Yasin is known for his controversial views, including a 2005 interview in which he says that Muslims cannot be friends with non-Muslims; that suicide bombings are understandable; and that the U.S. orchestrated 9/11 to wage a war against Islam. "There's no such thing as a Muslim having a non-Muslim friend," he said. "If you prefer the clothing of the kafirs [disbelievers] over the clothing of the Muslims, most of those names that's on most of those clothings is (sic) faggots, homosexuals and lesbians." Yasin goes further, encouraging children to take up the "honor" of throwing stones and confronting Israeli soldiers when there are no more men left to do it. For this and more on information about Shibly Click here. More reasons why CAIR's Hassan Shibly should not be addressing students about Islam. share articles with friends. See details below. Shibly opposed government detention of suspected terrorists. 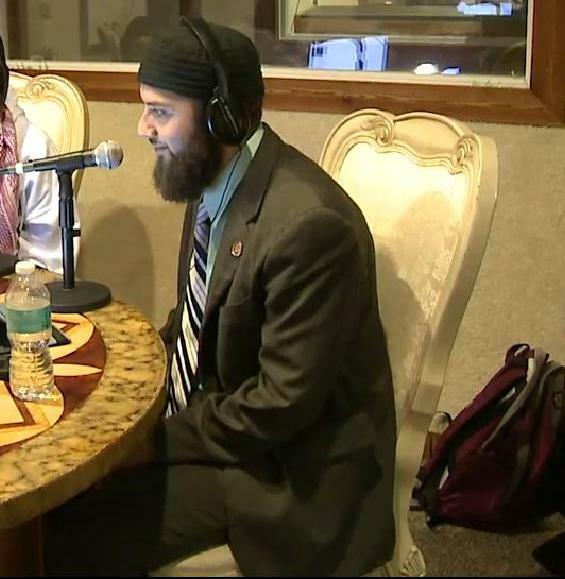 Hassan Shibly is shown here during a Muslim Street Radio program strongly opposing the National Defense Authorization Act because the provisions in Title X, Subtitle D, entitled "Counter-Terrorism" allow detention of persons the government suspects of involvement in terrorism. Click here to see this interview on Youtube. 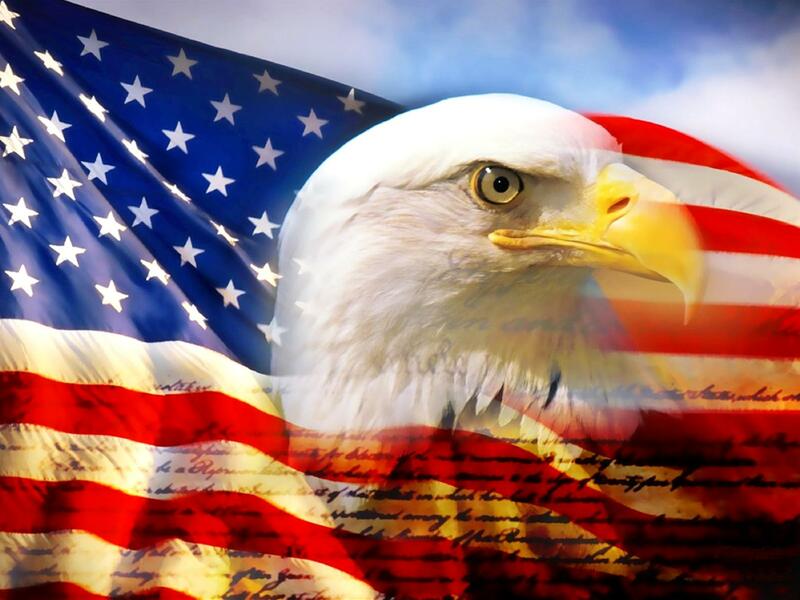 The National Defense Authorization Act was signed into law by the president on December 31, 2011. The legislation passed the US Senate by an 86-13 vote on December 15, 2011 the US House of Representatives by a 283-136 on December 14, 2011. Shibly’s two sided representations regarding Tampa terrorist arrest illustrate CAIR’s conflict with the truth. Hassan Shibly said that several mosques banned Tampa terrorist suspect Sami Osmakac because he "was no friend or supporter of the Muslim community." Then Shibly flipped to his real agenda by taking a jab at the FBI when he expressed "concern about a perception of entrapment" and said CAIR will monitor the case. "The weapons and explosives were provided by the government. Was he just a troubled individual, or did he pose a real threat?" said Shibly, who was briefed by FBI agents prior to Osmakac's arraignment. Click here to read more on this issue at Sunshine State News. These types of representations are not limited to the current CAIR Tampa Executive Director. 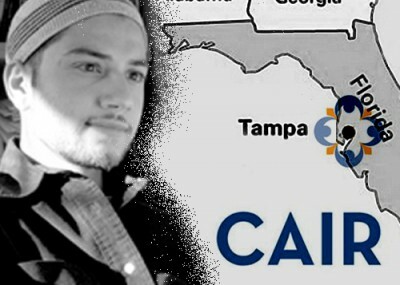 Former CAIR Tampa Executive Director Ahmed Bedier defended renowned convicted terrorist fundraiser Sami Al-Arian when he told The Tampa Tribune “Al-Arian did not agree to admit to any charges associated with terrorism” and "There is no conspiracy to support terrorism." Click here to read Bedier’s comments in The Tampa Tribune. Additionally, Ahmed Bedier defended Ahmed Mohamed who was arrested on August 4, 2007 in South Carolina for allegedly possessing pipe bombs. Mohamed was sentenced to 15 years for his offense. Bedier said "We have faith in the American judicial system.” So far we've only heard and read about vague language describing an explosive device, but no actual evidence. Until that's displayed it's going to be unclear what's going on." Click here to read Bedier’s comments in The Tampa Tribune. Florida Family Association officially requested on January 9, 2012 that the Hillsborough County School Board stop Kelly Miliziano or any other teacher from allowing CAIR personnel to make any presentations to students. Click here to read news report in the Tampa Bay Times. (Formerly St. Petersburg Times). School district's email response from Stephen Hagerty to FFA's request for list of all other religious speakers. All the dates for subsequent speakers to the CAIR speaker occurred AFTER Florida Family Association's public records request. Highly questionable. Please provide us with a list of all other religious speakers, including dates and times that such speakers addressed her students, that Kelly Miliziano allowed to address the same classes that CAIR officials did? Thus far this school year, two speakers (listed below) have visited Steinbrenner classes. Others (also listed below) have been invited. The process of seeking out and inviting speakers started at the beginning of the school year. Hassan Shibly, Imam prayer leader in several Tampa Bay area Mosques, recognized leader in the local Muslim community, executive director of CAIR. The presentation was scheduled for January 17, but Steinbrenner teachers decided to reschedule for the time when teachers are covering the independence movements (India). Scheduled to speak at the end of January. Dr. Lucjan Shila, Buddhist, parent of a Steinbrenner High School student. Dr. Shila volunteered to speak on the subject when it became clear that the teachers were having difficulty scheduling another speaker. Teachers had been in contact with the Buddhist temple, Wat Mongkolratanaram of Florida (Wat Tampa), but learned that the spiritual leader is in Thailand this year. No date has been set for this speaker to visit Steinbrenner. Please forward this artile to family and friends who are concerned about the acceptance of Islamic policy and Sharia law in America.